The institute has a seminar hall with a seating capacity of 100 people. This seminar Hall highlights innovative and effective teaching practice. It has state of the art facilities in the Seminar hall OHP, LCD that enable the students, faculty and researchers to achieve their task with ease of operation in their area of interest. 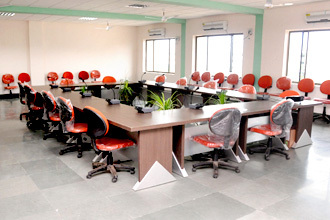 Seminar Hall equipped with 01 HP networked computer, Whiteboard (along front wall), Wall-mounted speakers with sub-woofer, Computer/video projector.